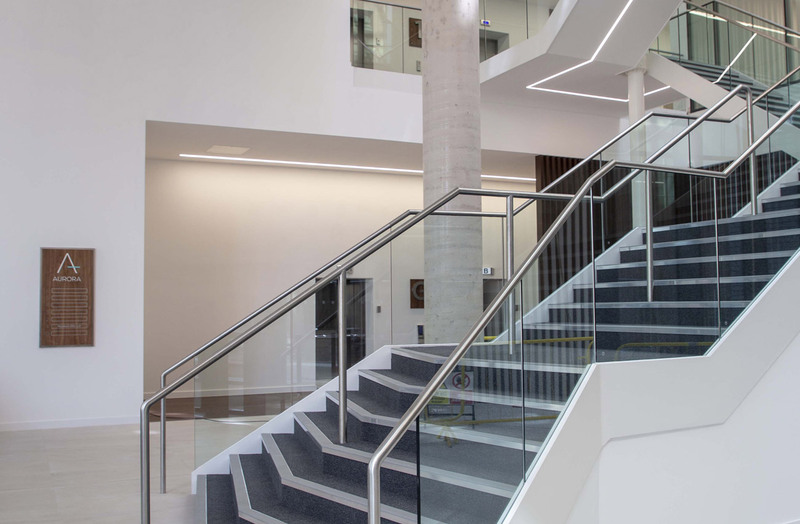 Working with Willmott Dixon, The Bush Consultancy and Hydrock, Taunton Fabrications were proud to have manufactured and installed a 25 ton feature staircase at the Aurora headquarter building in Bristol's central business district. 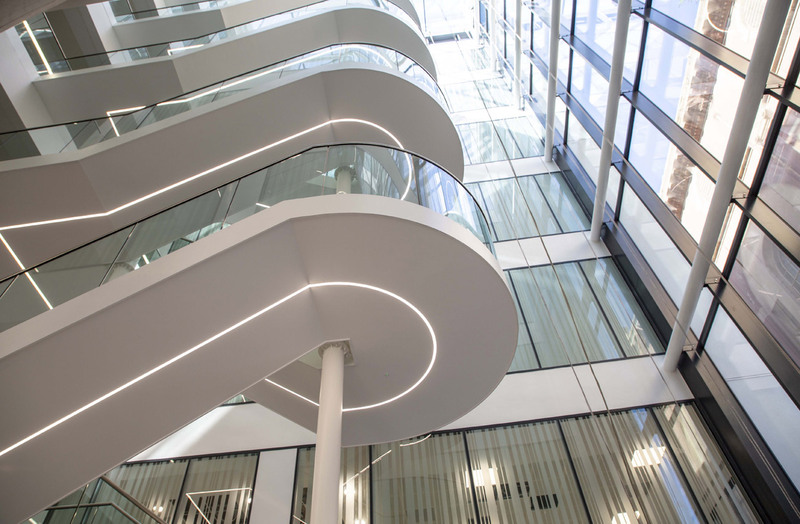 Aurora is a landmark Grade A, BREEAM Outstanding, headquarter building located in Bristol's central business district that sets a new benchmark for sustainable office development in the city. 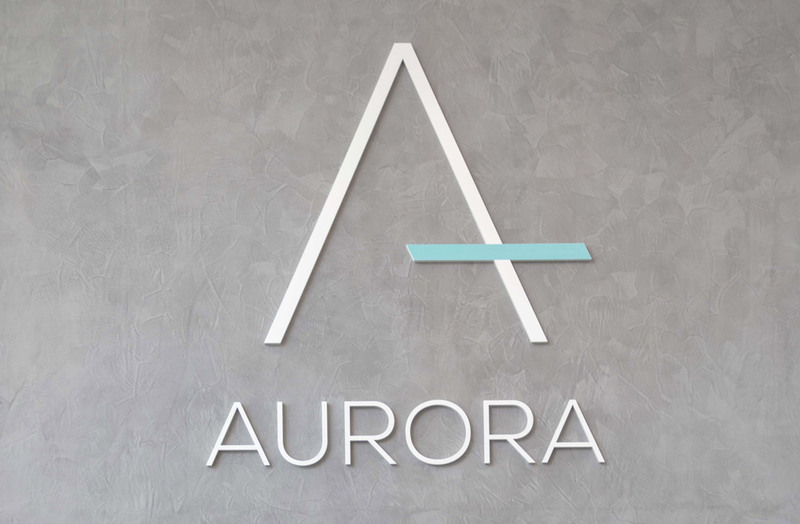 Aurora will provide 95,000 square foot of Grade A office space on the Floating Harbour, within a £250m mixed-use regeneration in central Bristol close to Temple Meads railway station and Cabot Circus shopping centre. 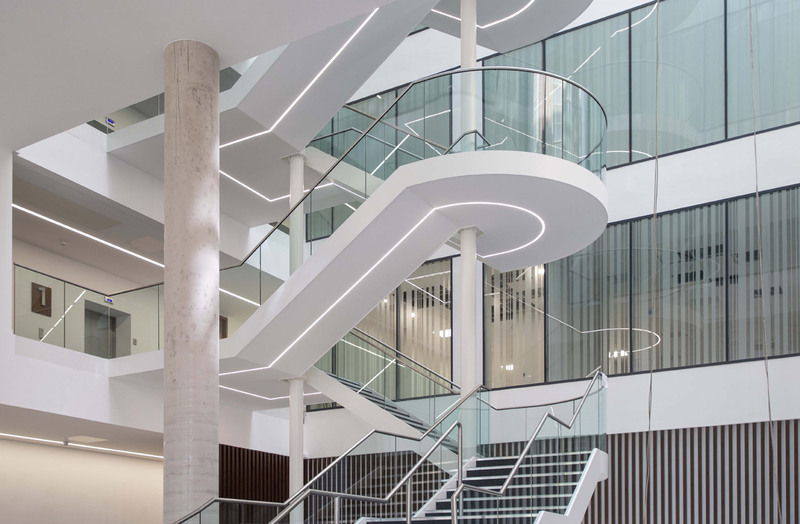 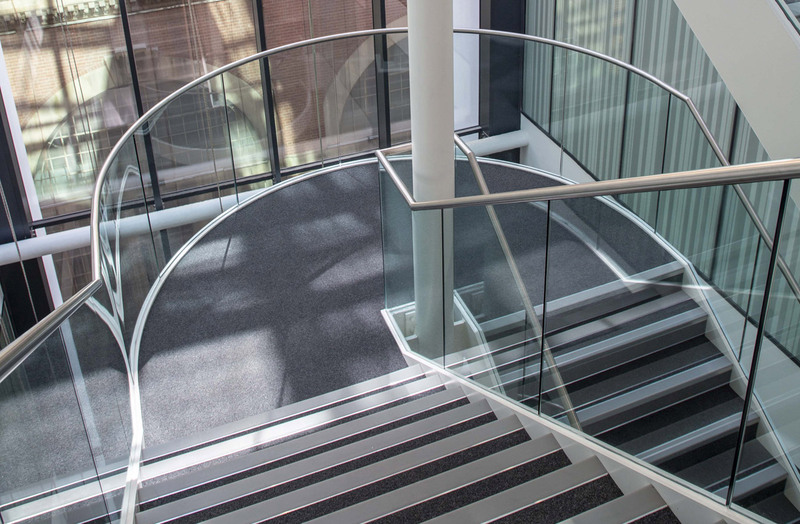 The feature staircase, designed and manufactured by Taunton Fabrications, takes pride of place in the central atrium area of the office development. 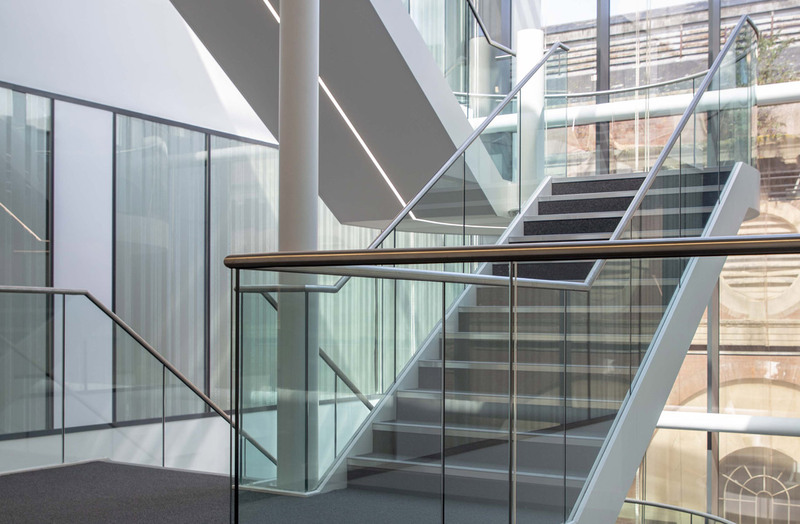 Manufactured from mild steel, the impressive staircase consists of 12 stair flights featuring stainless steel and glass balustrade.